My diet during exams was always like that of an athlete. In essence, I was fueling my body for a race and ensuring I had the energy to survive the long haul. Greek yogurt with a variety of healthful toppings or eggs and whole grain toast for early morning breakfasts. Legume-filled lunches. Lean proteins with piles of veggies for dinner. And there was a lot of healthy snacking. 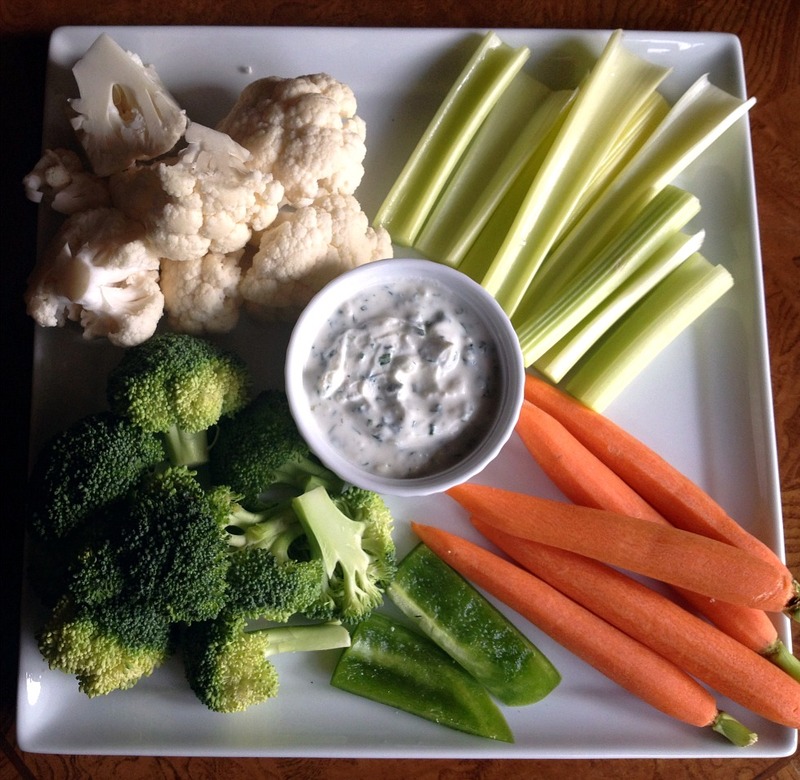 Crunchy carrots and celery sticks kept me awake and focused. Flax-filled multigrain chips provided fuel and didn’t cause the crashes induced by my peers’ potato chips. Apples and bananas with almond butter curbed after dinner cravings. Dark chocolate kept me sane. While I snacked my way to success, though, I couldn’t help but notice the extravagant inter-meal bites that one of those “silent friends” brought with her. First, it was the seemingly homemade cookies. Then came the big guns, like Nutella. And then came the Boursin, which made me say, “damn, girl knows how to study!” Granted, she was spreading the garlic-y cheese on cold, probably stale, Pepperidge Farm bagels– sacrilege, I know — but it was Boursin! Everytime I saw her using her flimsy plastic knife to break off a creamy hunk, my usually delicious, quick n’ dirty crudité looked a little inadequate. Wouldn’t my French essay sound a little more eloquent if I ate something more, well, French? One day, she chose the empty seat beside me to slay her statistics studying. Sweet fumes of fines herbes overwhelmed the scent-less Kind Bar I was consuming. When I saw this recipe from Dorie Greenspan for Lyonnaise Cheese Spread or Cervelle de Canut (“the silkweaver’s brains” — appealing, I know), for good or for bad, I was brought back to those moments in the study room; Dorie mentions that the spread was the likely inspiration for supermarket Boursin. Armed with creamy, slightly tangy fromage blanc, some of my favorite herbs, shallots and my best friend garlic, I was ready to make everyone’s favorite party cheese and enjoy it myself without pencil in hand. Well, what I got wasn’t Boursin. It was Boursin-flavored fromage blanc. As I know well, fromage blanc is tangier, looser and more pronounced than Boursin. It has its own personality aside from the bitey garlic and herbs. It’s not rich, and it’s quite reminiscent of yogurt cheese. It may have been different than the real thing, but each dipped veggie and slathered slice of baguette was a bright bite of stress-free happiness. 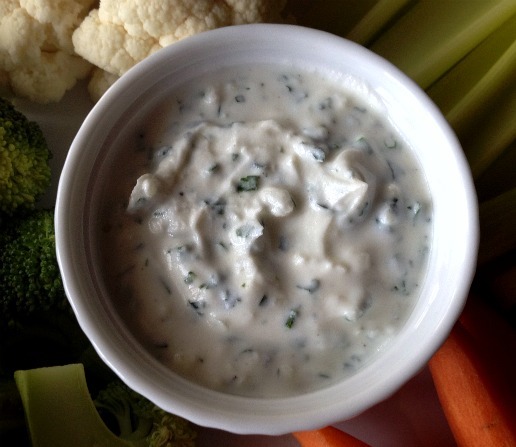 The cheese can be used as a dip or a spread. It can be stuffed into piquillo peppers or tomatoes. Also, try it as a dressing by adding a little milk or cream. Or, you can shape it into quenelles to serve on a cheese plate. Ricotta (part-skim is fine) can be substituted for fromage blanc (in fact, I think it would be much more Boursin-like with really well-drained ricotta). Be sure to drain it for two hours (or up to overnight) before using. Be prepared: No matter how you serve it, you’ll want it to be cold so plan ahead. 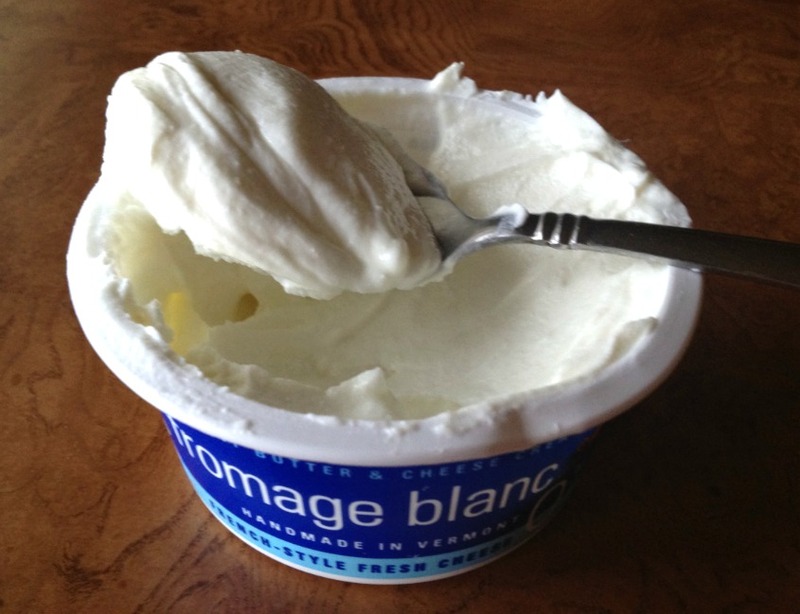 Put fromage blanc in a medium bowl. Add the remaining ingredients to the bowl and mix everything together lightly with a rubber spatula. (You don’t want to beat the cheese and risk thinning it.) Taste and adjust seasonings as you wish, adding a little more garlic, herbs, and/or vinegar. Cover and refrigerate for at least 3 hours. Taste the cheese and season again if needed before serving. I LOVE boursin. My parents used to always put it out when entertaining. This sounds delicious. I always see fromage blanc at Whole Foods and always wonder what to do with it.. now I know. It sounds like you had soem great study snacks. I think I was always grabbing oversized sandwiches at the nearby deli. I love Boursin and Boursin’s mama (cute) sounds excellent. great backstory, too. Reminiscing on college days (even the study sessions) is always a good time!